This is one of my all time favorite pasta dishes. I love pasta…..in all forms….especially spaghetti. But there is something about bow ties. Those cute little bow tie shaped morsels of goodness. I’ve used them with cream sauces, pasta salads, with shrimp….but my favorite way to use them is in this dish. 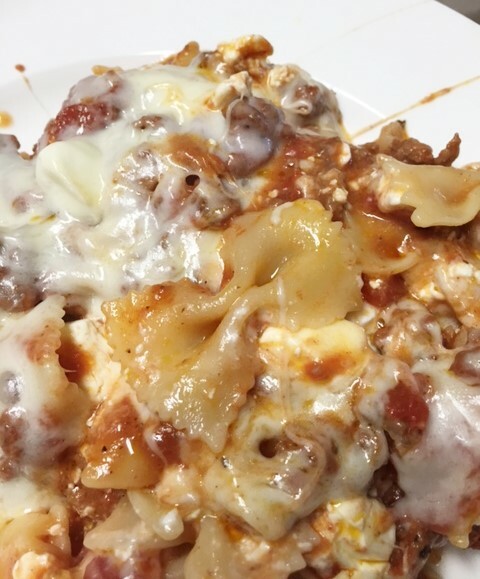 Bow tie lasagna. Who doesn’t like lasagna? Right? Layers and layers of pasta, cheese, sauce….more cheese…mm-m-m-mmm. I keep it simple for this particular “lasagna”. 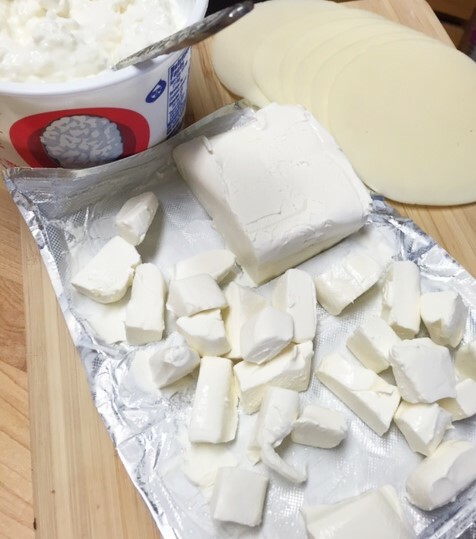 I am not a real fan of ricotta cheese, ew-www, (wrinkling my nose), so I use cottage cheese. But use what you want! 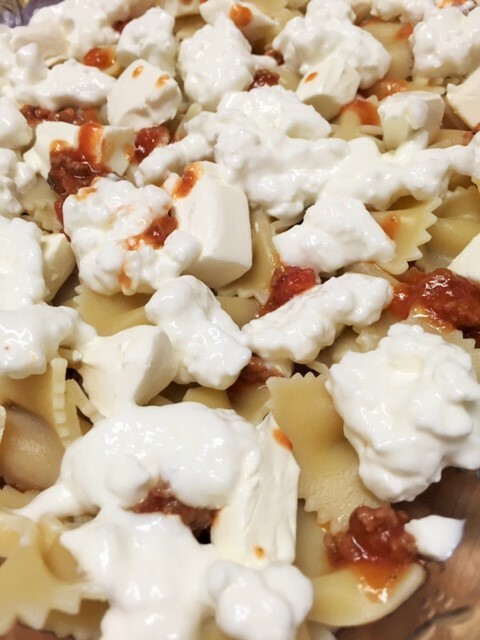 Another ingredient I have always used in any lasagna dish I have ever made, is cream cheese. Yeah, yeah….I know…..weird. But wait till you try it. It’s just so good. It is!!! Just try it. Now, you can use a jar sauce if you are in a hurry, or you can make your own favorite sauce. Sometimes, I just make a real quick sauce if I am in a hurry. You should know….this is truly a comfort food. Ohhhhhh, yessssss. Really bad day, really good pasta. 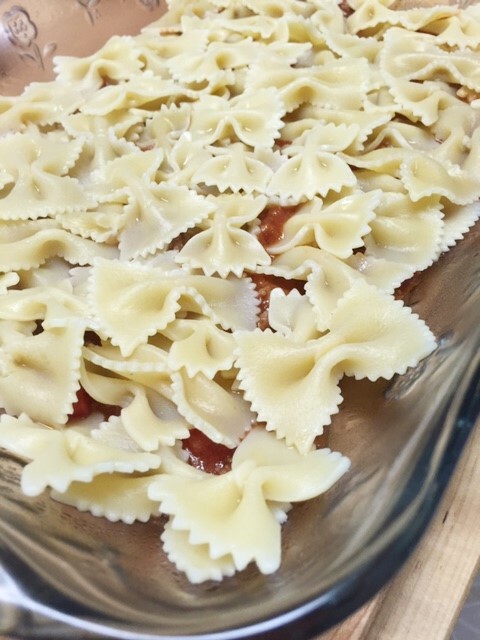 3 1/2 cups of dry bow tie pasta, boiled to al dente. Drain. Now, let the layering begin!! Spoon a little bit of sauce in the bottom of a 9 x 13 glass baking dish. Next, add half the bow ties. Add cubes of cream cheese on top of the bow ties. Next, drop spoonfuls of cottage cheese all over. Add the remainder of the pasta. Spoon the rest of the pasta sauce on top. 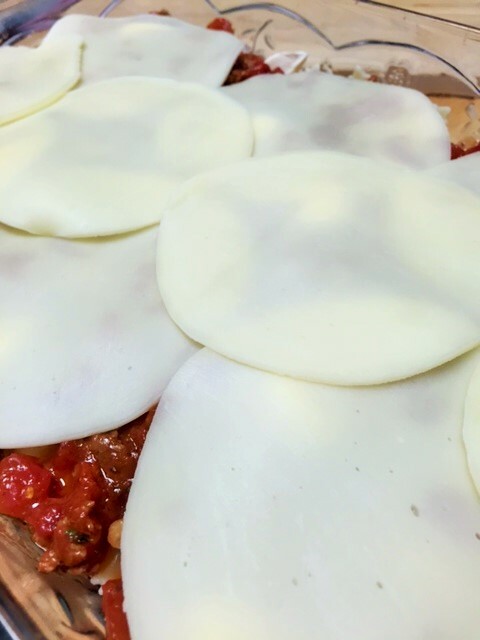 Cover with provolone cheese. Cover with foil and bake for 30 minutes. Brown the ground beef, drain any grease. Add tomatoes, tomato sauce, garlic, oregano, salt and pepper. Simmer for at least 20 minutes. Boop, I’m going to make this to serve 10. Will one recipe be enough? Also, have you ever put ground beef mixed right in it? Or just in the sauce? want. I just cook it with my sauce so it flavors the sauce so much. OH, this sounds YUM!!!! 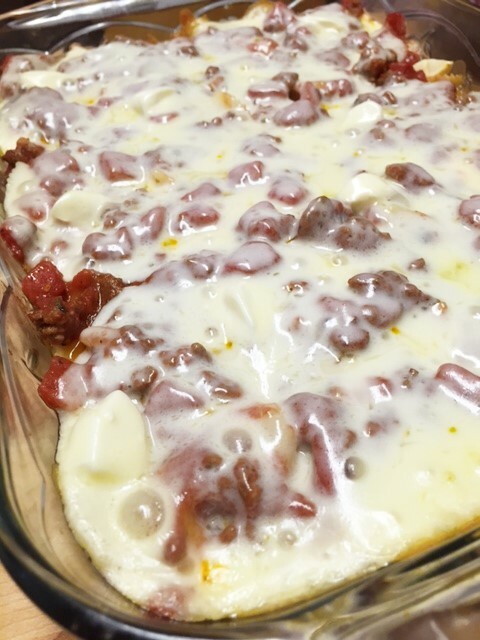 Lasagna is one of Gene’s faves….bet he’d love this one, too!! Hi Jeanie, OMG, this is so yummy. 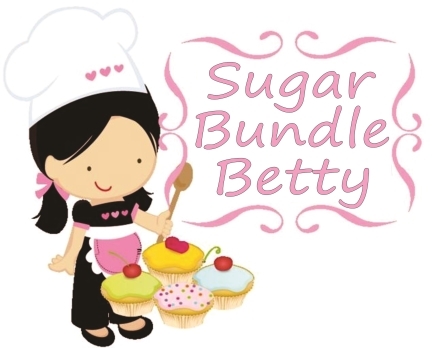 cant wait for you to try it. Hi Gene.